Travelling to Halong, tourists have chance to enjoy colorful and bustling atmosphere of Carnival Festival which is one of the biggest annual events hold yearly in Halong Tourism Week. This is second – to – none occasion which all tourists desire to travel at the time this event is happening. Halong Tourism Week is a tourism promotional celebration taking place in late April to early May. 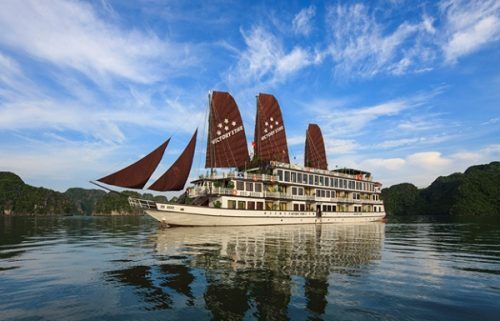 In this special Week, there are numerous cultural activities such as Halong Bay Photo Exhibition, Halong Cuisine Festival, Classical Music Concert and other sport activities, etc. 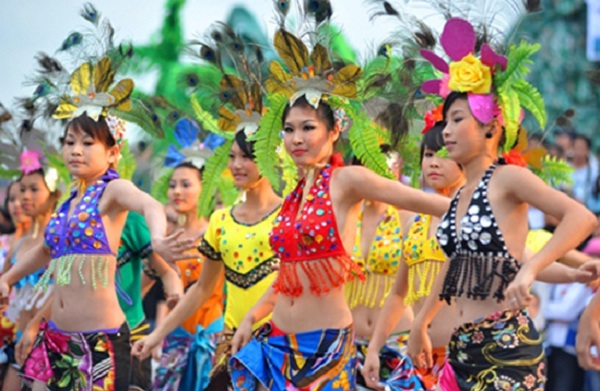 Especially, Carnival Festival is the most highly attractive to the public by the participation of thousands of both professional and amateur actresses, dancers, singers as well as students, etc. What a colorful parades of music and light staged on the street lasting in 180 minutes! 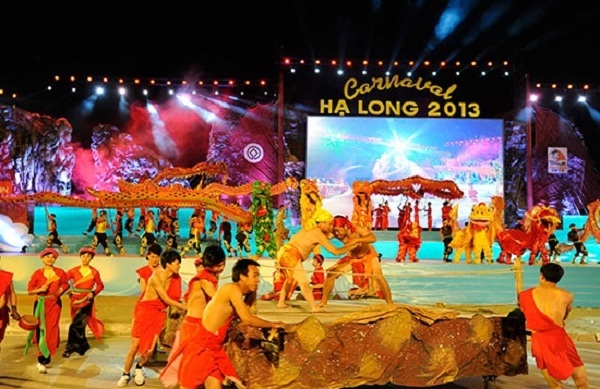 Each year, Halong Carnival has a different theme to feature the legends and honor natural values of Halong Bay as well as its achievements of tourism. In Carnival Festival, tourists will immerse in joyous street parades with variety of colorful costumes and glamorous performance on the streets along the coast. Moreover, vibrant sound of magical music blends with amazing water displays will be unforgettable experiences of such great party. However, the highlight of Halong Carnival is a sparkling aerial firework show at the end of the event which all tourists expect to enjoy. A party of light and color makes a magnificent and impressive festival of Halong by night. 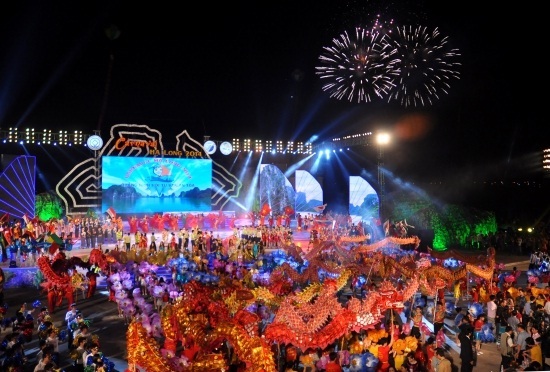 Not only the performance of local residents and professional artists does Halong Carnival also draw attention of international artistic troupes from neighboring countries like Philippines, China, etc. Halong Carnival is a good occasion to introduce both domestic and international tourists about the Halong heritage – one of the natural wonders of the world, to promote the image of Halong to the world which was twice recognized by UNESCO for its landscape and geography values. Besides, this festival also attracts more and more tourists traveling to Halong that makes them have a closer to Halong’s cultural identities as well as nature beauty.